A little less than a week after Syracuse retired Carmelo Anthony's #15, the Wake Forest Demon Deacons will do the same with Chris Paul's #3. Another weekend, another Jordan Brand athlete jersey retirement. A little less than a week after Syracuse retired Carmelo Anthony's #15, the Wake Forest Demon Deacons will do the same with Chris Paul's #3 during halftime of today's game against ACC rival Maryland. Paul played for Wake Forest for two seasons, leading the school to two NCAA Tournaments, including one Sweet Sixteen appearance. He was also part of the first #1 men's basketball team in school history and named a consensus First Team All-American in 2005. 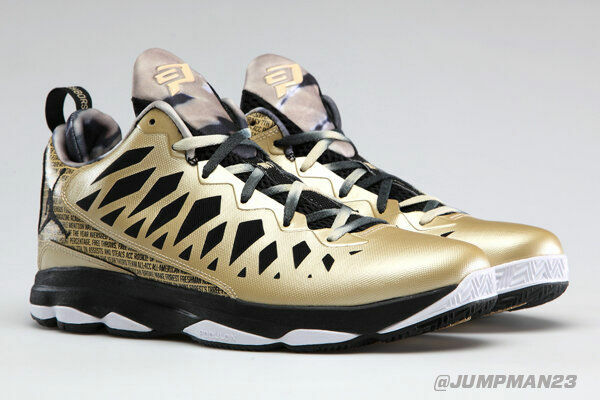 To commemorate Chris Paul Day, Wake Forest players laced up this special make-up of the CP3.VI. 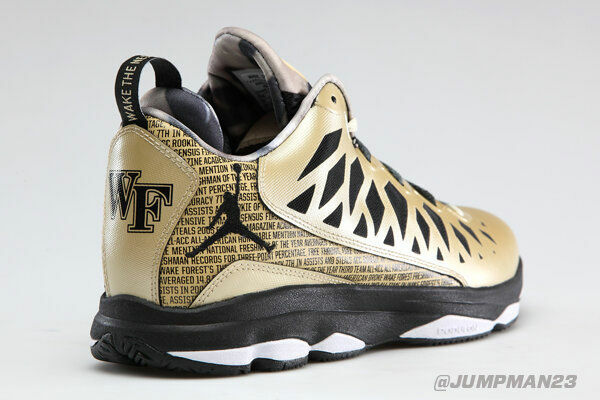 Decked out in the school's black and gold scheme, the shoe features tie dye detailing on the tongue and laces, "Wake the Neighbors" on the pull-tab, a Wake Forest logo on the heel and CP3's college milestones printed throughout the upper. A closer look at the "Chris Paul Day" CP3.VI below courtesy of @Jumpman23.